A "beautifully written" Pulitzer Prize-winning novel about prejudice and a distinguished family's secrets in the American South (The Atlantic Monthly). Seven generations of the Howland family have lived in the Alabama plantation home built by an ancestor who fought for Andrew Jackson in the War of 1812. Over the course of a century, the Howlands accumulated a fortune, fought for secession, and helped rebuild the South, establishing themselves as one of the most respected families in the state. But that history means little to Abigail Howland. The inheritor of the Howland manse, Abigail hides the long-buried secret of her grandfather's thirty-year relationship with his African American mistress. Her fortunes reverse when her family's mixed-race heritage comes to light and her community -- locked in the prejudices of the 1960s -- turns its back on her. Faced with such deep-seated racism, Abigail is pushed to defend her family at all costs. 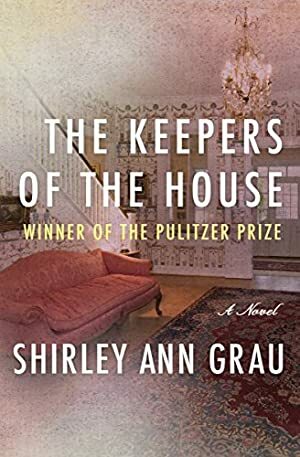 A "novel of real magnitude," The Keepers of the House is an unforgettable story of family, tradition, and racial injustice set against the richly drawn backdrop of the American South (Kirkus Reviews). This ebook features an illustrated biography of Shirley Ann Grau, including rare photos and never-before-seen documents from the author's personal collection. Log In to track Shirley Ann Grau on eReaderIQ. to be notified each time the price drops on any book by Shirley Ann Grau. to stop tracking Shirley Ann Grau. We started tracking this book on April 20, 2012. The price of this book has changed 133 times in the past 2,557 days. This lowest price this book has been offered at in the past 90 days is $1.80. The lowest price to date was $0.99 last reached on June 27, 2017. The highest price to date was $12.10 last reached on December 10, 2014. This book has been $12.10 one time since we started tracking it.